Dolce will now be enjoying life as a riding horse; trail riding, camping, showing, and having fun! Dolce (pronounced dôl-che, Italian for sweet) is a triple certified RMHA/KMSHA/ICHR gold champagne mare, (DOB 5/11/04), a very rare colour in the Mountain Horse breeds. She stands 15.1hh, with a solid, compact build. Dolce has a sweet, sociable personality and is as unique as her colour. Our “Blond Bombshell” is also famous for her incredible 30mph speed rack! Her bloodlines include the famous stallions “Toco Sam”, “Sewell's Sam” and “Tobe”. 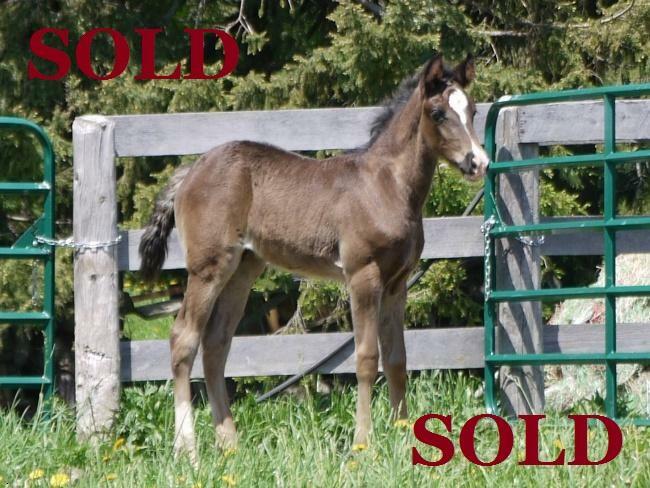 Any foal of Dolce is sure to be exceptional! Dolce is a rock-solid horse! She is reliable, dependable, and will do absolutely anything asked of her. Which makes her an exceptional trail horse; she will go anywhere ... just point and she will go! Like all of our breeding mares, Dolce is not “just a broodmare”, she is a well trained riding horse too. Dolce received a solid training foundation long before having her first foal. As with all horses in our training program, Dolce has been taught to be equally as accomplished on the trails as she is in the show ring. She is skilled in her back-up, neck & direct reining, lateral work (leg-yielding, side-passes, shoulders & haunches in/out, turns on the forehand & hind, etc.). Dolce works safely around cars, ATVs, and “spooky animals” (dogs, birds, deer, etc.). She can gait easily over a variety of terrains, negotiate down steep hills well supported by her haunches, goes through water with out fear (has even been swimming over her head!). Even after that, Dolce continued to be ridden while pregnant, right up until she became too big with her foal (last 4 months of gestation). Then right back to riding again, approximately a month after she foaled, with her foal learning to gait at her side following in her perfectly timed footfalls! Dolce has many, many trail riding miles, she's also been over-night camping, ridden demos & expos, horse shows, clinics, riding lessons, etc. You name it this lady can do it!! 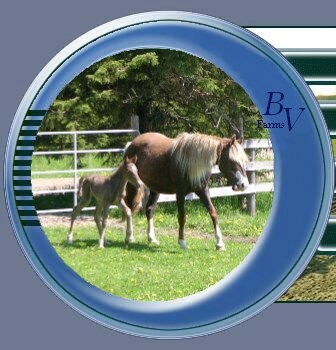 Dolce's 2017 foal is a beautiful jet black filly, “Aria”, by our very own handsome chocolate stallion “BVF's Tribute Kidd ” . Dolce's 2015 foal is a gorgeous classic champagne colt, “Ice”, by our very own handsome chocolate stallion “BVF's Tribute Kidd ” . Dolce's 2014 foal is a stunning jet black filly, “Eclipse”, by our very own gorgeous jet black stallion “BVF's Jedi Knight ” . Dolce's 2013 foal is a gorgeous classic champagne colt, “Dom Perignon”, by our very own gorgeous jet black stallion “BVF's Jedi Knight” . Dolce & Dom have their own ! Getting In Shape Is Alot Of Work!